Round Petite Hurricane Custom Votive Candle holder, 10 per order. Order as many as you wish. Candle tea lights NOT included. I need the amount you are interested in and the state where they will be shipped to for a true shipping price. It will really help with your event date and what color you would like. You can also mix and match your order at the same time. 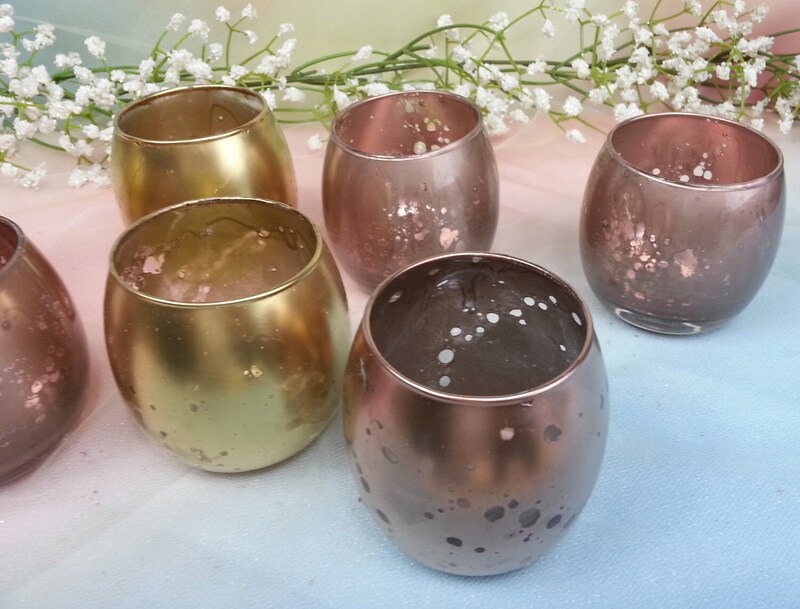 When you order these votive holders, you can also order a fuel cell for it. ( a form of tea lights ) Click on the link below for more detail information. Just click on the quantity you want (add it to your cart). There is a very small charge for shipping the fuel cells since they will ship with the votive holders. All of our Votives are hand painted. Each votive is a one-of-a-kind. There will be slight variations in color. Perfect Gift for a Hostess, as a Wedding Favor, Teacher, Bridesmaids, Holiday gift, or even to decorate your table at home or for your Wedding day. They are beautiful no matter where. Size - H - 2.5 mouth opening - 2" aprox.